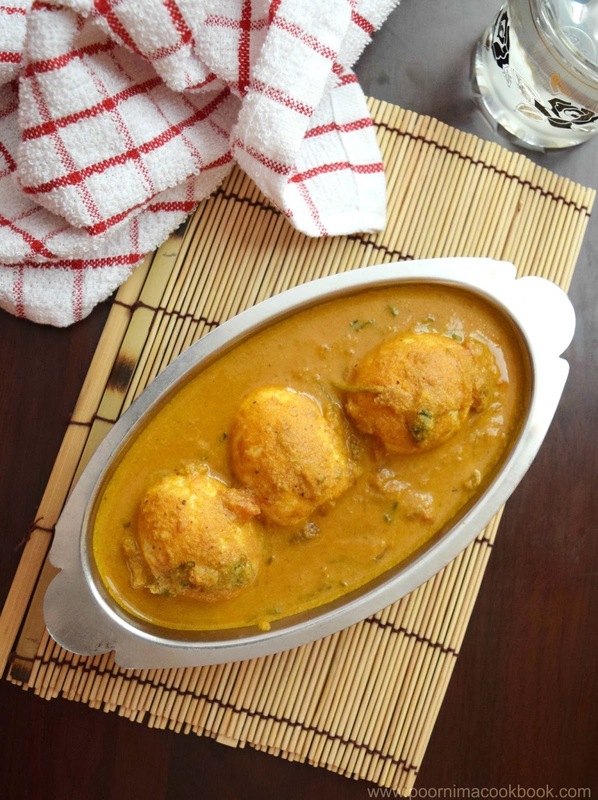 Egg Kurma is a delicious coconut based gravy prepared in South Indian Style! This gravy is filled with aromatic spices; it is to best to have with parotta, chapathi, any flavoured rice and with Idli, dosa, appam or Idiyappam. 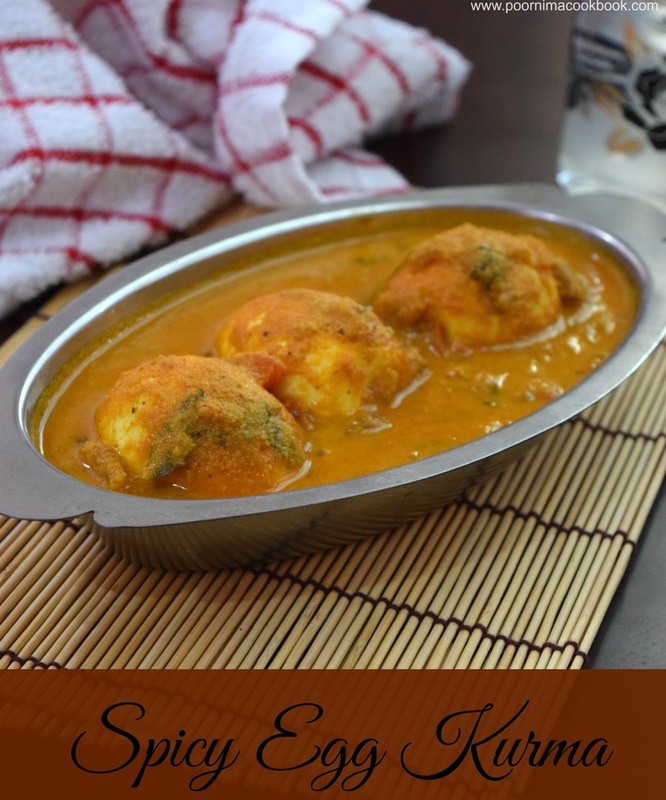 Try this lip-smacking gravy and give your feedback! 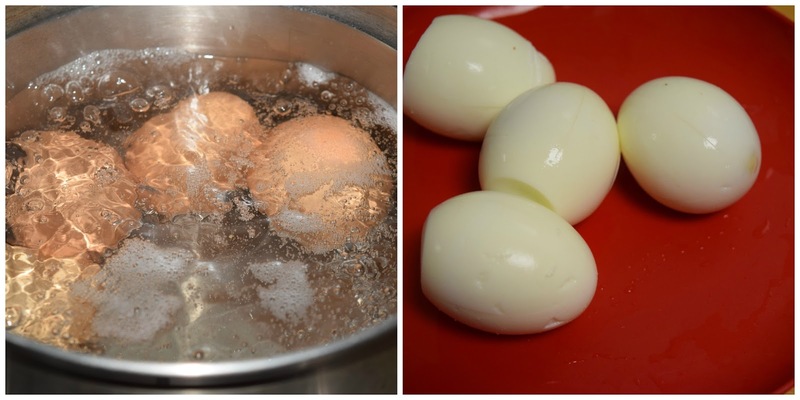 Hard boil the eggs and peel out shells; make small slits and keep aside. 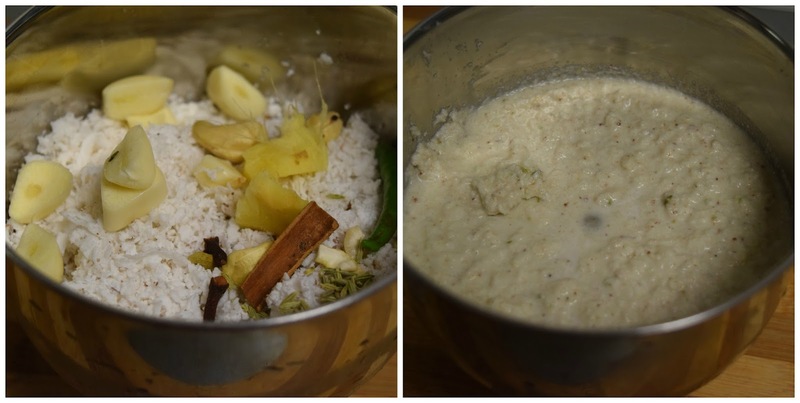 Grind the ginger, garlic, cinnamon, cloves, cardamom, green chilli, saunf and grated coconut with water to a fine paste; keep aside. Heat oil in a kadai; add bay leaves and curry leaves. After that, add the finely chopped onions. Saute till the colour changes after that add tomatoes,turmeric power, red chilli powder, corriander powder and salt. Now add the grounded paste and saute for a minute. Add 1 to 1½ of water, cook in medium flame till the raw smell goes and oil separates. At last add boiled eggs and with the lid on, cook for another 5 minutes in low flame. It taste best with Idli, Dosa, Appam, Chappati and Idiyappam (String Hoppers). 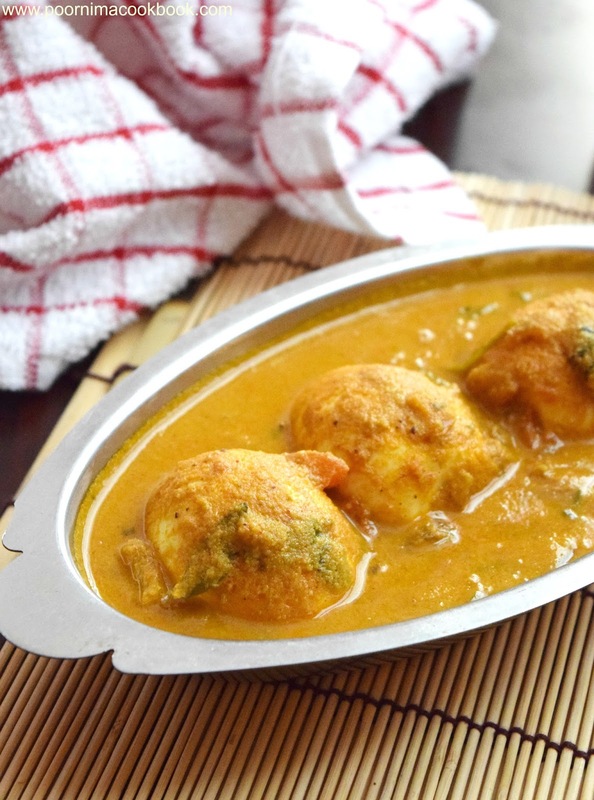 Instead of eggs, vegetarians can try adding potato or soya.